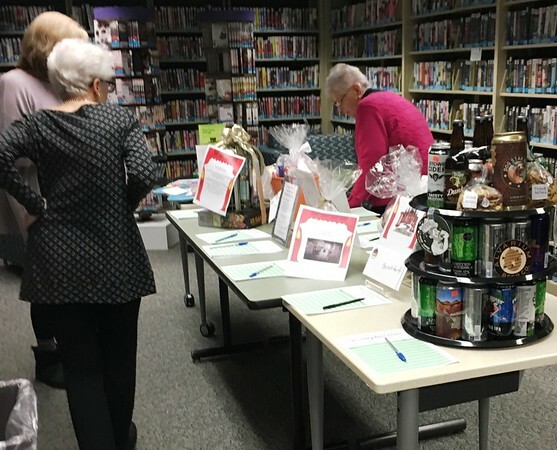 NEWINGTON - The Friends of the Lucy Robbins Welles Library throw a big party every winter. This year it became so big, they had to change the name. What started as a wine and cheese social to celebrate the group’s 50th anniversary in 2011 is now the Friends Winterfest, happening Friday, Jan. 18, from 6:30 to 9 p.m. The rain date is Jan. 25. There will also be pizza and brownies from TJ’s on Cedar, gourmet cheeses from Stew Leonard’s, desserts from The Kakery and appetizers from Café Louise and Costco. Connecticut Beverage Mart is providing wine, beer and cider. There will be samples by Alvarium Brewing Company and Labyrinth Brewing Company and infused vodkas from Asylum Distillery and the Hartford Flavor Company. “It’s really a great time,” head of community services Michelle Royer said. Tickets are $15 in advance and $18 at the door, if any remain. The library facility can accommodate up to 300 people. 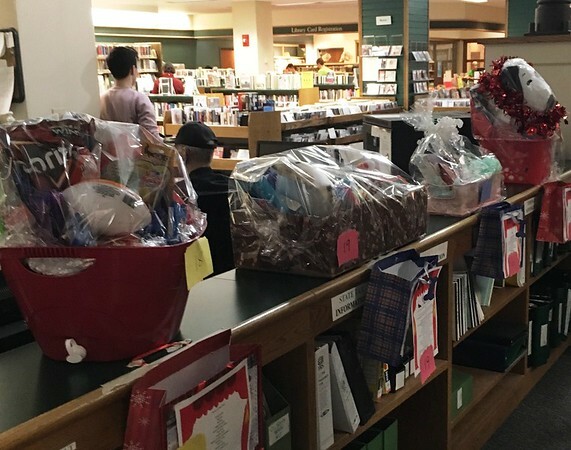 The evening’s highlight will be a silent auction and teacup raffle, with prizes donated by Friends of the Library members, library staff, local businesses and residents. Up for the winning is 18 holes of golf at Indian Hill Country Club for a foursome; a beer tower featuring a variety of craft beers; dinner at the Red Lantern at Foxwoods Casino with tickets to “Rock of Ages”; a wine tasting for 20 people by Total Wine; a lottery tree; artwork, and much more. 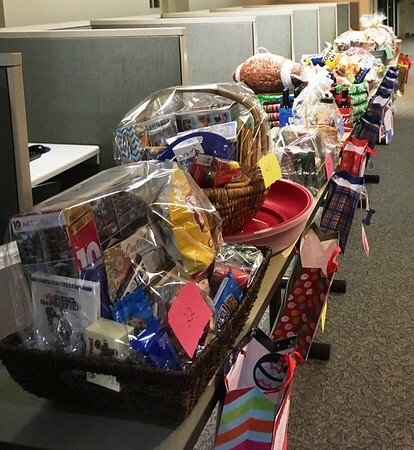 There will also be door prizes and an exclusive gift basket raffle for those who place orders with CT Beverage Mart at a special discounted rate that evening. Raffle tickets will be sold at the door. Guests can pick up a “passport” at the door, to lead them around the library to each of the stations set up. Bluegrass trio Audrey Mae is set to provide the evening’s entertainment. The annual event is one of the Friends’ most lucrative fundraisers, second only to their book sales. A foundation established back in 1961, the Friends of the LRWL are all volunteers who love the library. 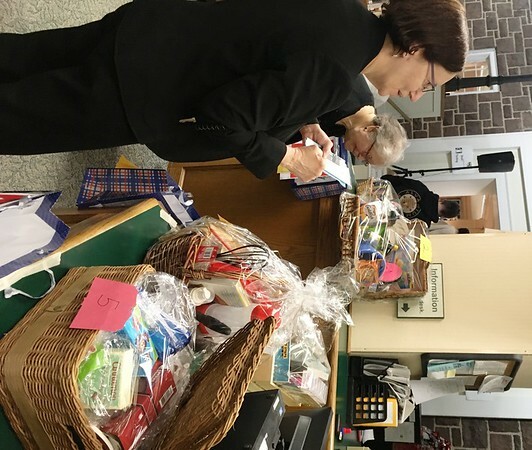 Not only do they sponsor ongoing programming like Winter Reading, which kicks off at the end of January, but also equipment, including computers and other supplies not supported in the town’s budget. Winterfest patrons will see some of the improvements made by the Friends firsthand. Recently installed mobile shelving for CDs and audio books will allow for a much larger gathering space in the main area of the library. Residents who frequent Garfield Street where the Town Hall campus is situated probably noticed construction going on beside the library this fall. It’s a new parking lot - the first stage of the Town Hall Renovation Project. Harbeson couldn’t believe her eyes when she saw workers laying down tar over the last few days. Posted in Newington Town Crier, Newington News on Thursday, 20 December 2018 08:38. Updated: Thursday, 20 December 2018 08:41.